More than 100 motorists reportedly got help from Nebraska authorities after getting stuck in blizzard conditions on Friday. 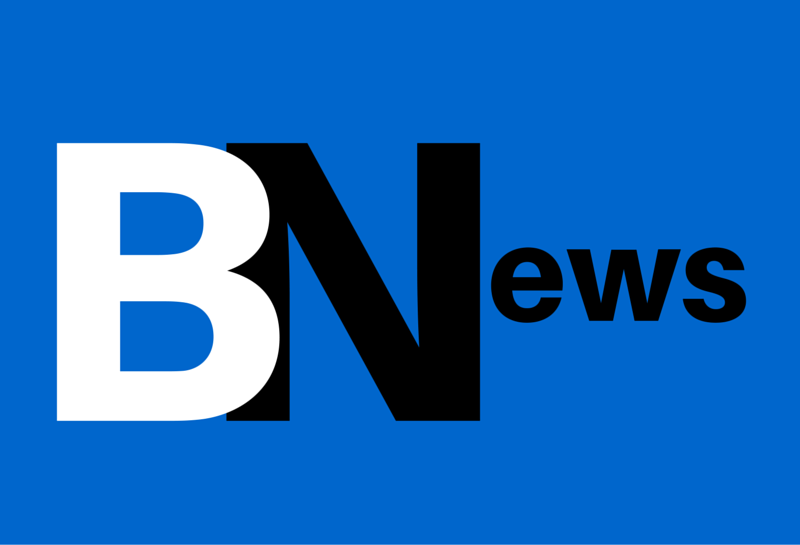 The bad weather affected drivers in the western portion of the state on Interstate 80 and other highways, the Nebraska State Patrol said in a news release. 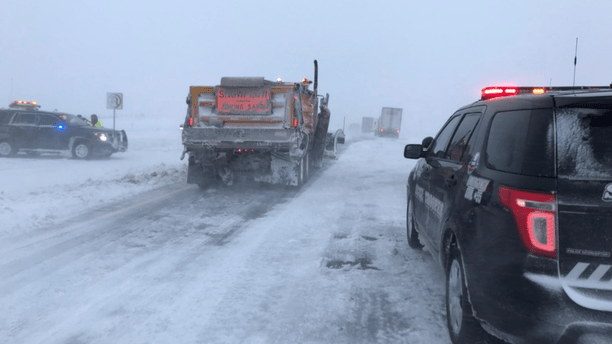 Several departments – including the Nebraska State Patrol, Cheyenne County Sheriff’s Office and Sidney Police Department – reportedly combined their efforts to clear stranded vehicles and rescue drivers. 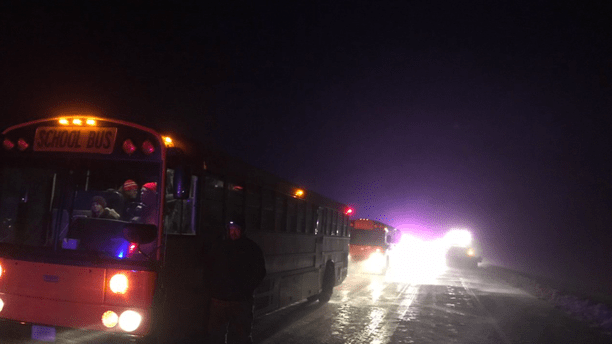 Authorities said vehicles were particularly affected in two spots on I-80 near Sydney and school buses from the area were brought in to help the rescue efforts. “One section was more than a mile and a half long and the other was estimated to have at least 50 vehicles,” the release said. Law enforcement officers also reportedly checked on every car and helped to free drivers from the harsh conditions. “In addition to the large-scale rescues, troopers have responded to more than 80 motorist assist calls during the storm,” the release said. At least one person, 61-year-old Rollo Ward of Idaho Falls, ID, was killed after “the semi he was driving eastbound lost control, entered the median, and struck a semi that had previously become stranded,” authorities said. 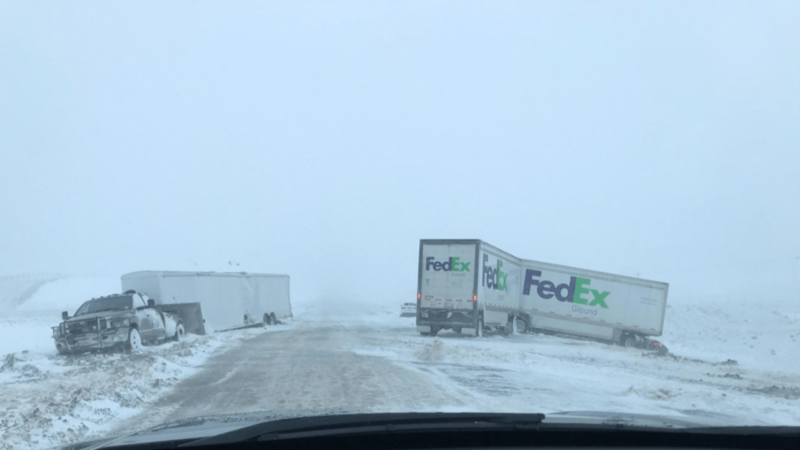 Parts of the interstate remained closed Saturday as driving conditions continued to be “poor to impassible” in central and western areas of Nebraska, authorities said. Next Post: I get home from work, I work nights, and the news is going on about last nights bombing of Syria and possible retaliation from Russia. Grab my phone and check Imgur when I wake… It’s Burt Gummer Day, and not a single post about the attack.